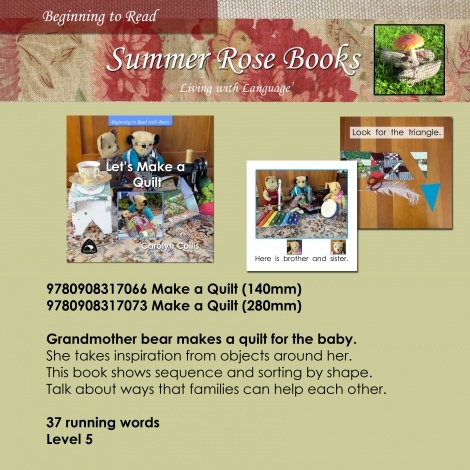 Grandmother bear makes a quilt for the baby. She takes inspiration from objects around her. This book shows s sequence and sorting by shape.